For some strange reason, I was kind of let down by this book. However, I didn't hear much about the book beforehand, so I don't know how my hopes were let down. The cover--gorgeous. The idea--awesome. There were so many different ways that this book could have gone, and it was so cool just to think about them all. While what I got from the book wasn't terrible or that disappointing, I was still hoping for more. Lily wasn't that much of a stand-out to me. She was determined, yes, and stubborn, but not in that kind of way that makes me fall in love with other heroines. There was a generic feel to her character. Been there, done that. Nothing I haven't seen before. I was missing that spark from here. I felt that she was a bit of a drama queen, with the way she wasn't getting what she wanted in this book. She was constantly crying--understandably so, because her father just died--but she just cried a looooottt over everything, and so did her mom--who was even worse than she was! It was just a bit infuriating to read about such . . . dramatically written characters. And, oi, the characters got worse from there. But then they also formed the love triangle, so I was already wary of them. There's Ty and Wyatt. Ty was explained in this bad boy kind of manner, but I wasn't feeling it. I thought him to be a decent enough guy with long hair. He didn't break my heart. Then there was Wyatt, who I thought to be the cuter one. He was Lily's best friend since forever, and I was kind of rooting for them, but then Wyatt showed his true colors--which were ugly. His over-protectiveness was waaayyy over the top for me. It was just too annoying for me to handle. The only thing that had me going was the idea. I wanted to find out what was up with Lily and this Iris chick. And lemme tell ya--it was worth reading this one all the way through. The mystery was pretty awesome and creepy and the plot was never predictable--besides the characters, that is. I enjoyed it! It wasn't what I expected, but that was okay! 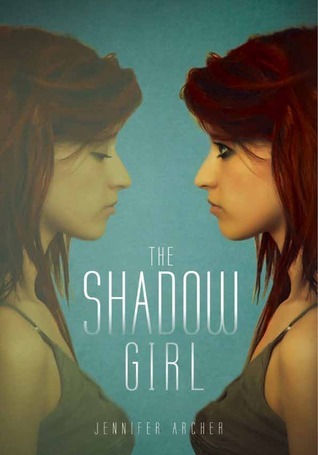 The Shadow Girl was an alright read. It wasn't bad, but it wasn't all that amazing, either. I've been sitting on this review for a while because I didn't know what to write about it! My feelings for the book were just meh. Indifference. I'm sure others will enjoy it and others will hate, but I'm sure people who enjoy a good mystery will like this one.